Dylan’s iPad needed a bit of an overhaul. It’s use, albeit is a good thing, has resulted in a seriously cracked screen and a selection of stains and spillage to both the casing and the screen. Today I decided to bite the bullet and investigate. The big issue being if the screen itself is cracked Dylan will need a new and costly iPad but the truth is he can’t carry on with this messy looking device. Something had to be done! 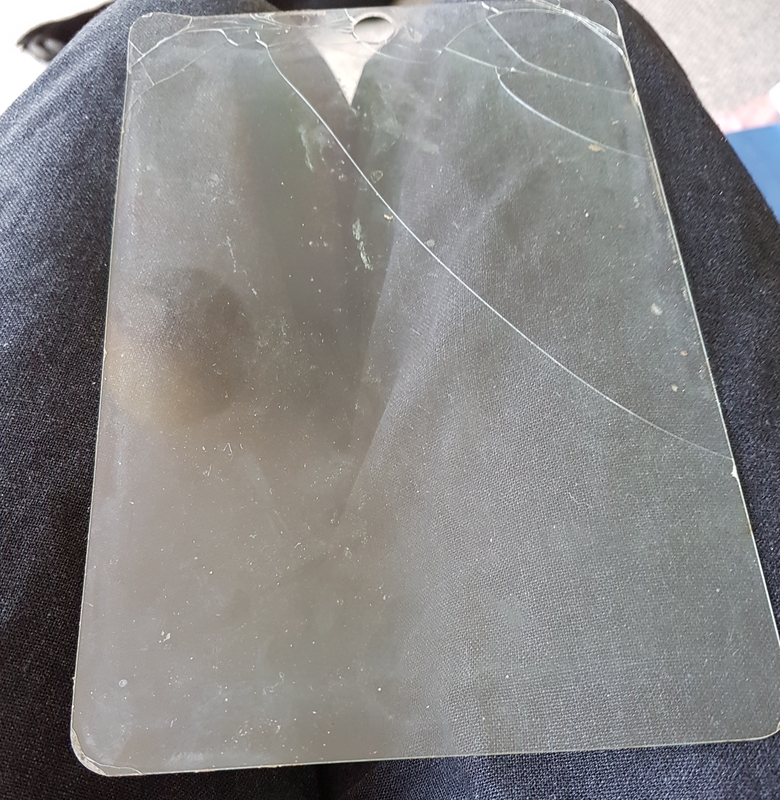 Thankfully the screen protector came off in one piece and the iPad screen is perfectly intact. The rest of the casing and machine cleaned up beautifully and looks as good as new. But this, the cracked damaged iPad screen protector mesmerised me. In my eyes it’s not damaged. It’s been the vessel for my boy to gently feel out his words. To both make errors and correct them. His fingers have scoured the length and breadth of this toughened glass to tell me his thoughts and give me the eagerly awaited answers to my questions. Bizarrely unable to dispose of it, I have gently wrapped it and put it away in storage with Joshs first teeth and Graces first baby blanket. To me its Dylan’s first voice.